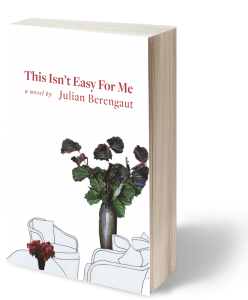 In its form, This Isn’t Easy for Me is a contemporary conversation, a novel conveyed only by the women’s dialogue. In its substance, it is a story that spans decades but is told in one afternoon, a meditation about fidelity and what matters most in the many ways to live, love—and die. In Berengaut’s (The Estate of Wormwood and Honey, 2012) second novel, two women discuss love, physics, infidelity, polyamory, mathematics, the Holocaust and the importance of family. Imagine if My Dinner with Andre, with its emphasis on dialogue and the nuanced analysis of past adventure and philosophy, took place between two contemporary, highly accomplished women having lunch. 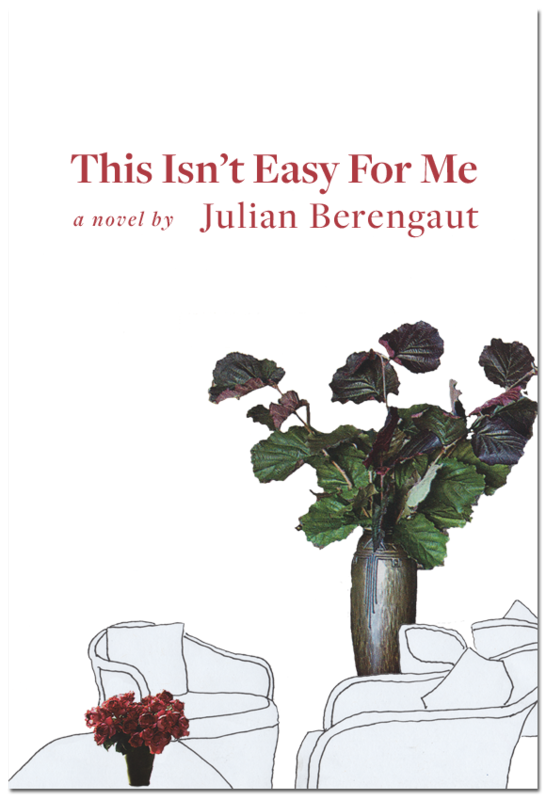 Berengaut has accomplished something remarkable: a novel composed entirely of dialogue, with no chapter breaks, that is riveting from beginning to end. Sabine Stern is an academic who is regularly invited to speak at top-tier universities, while Renata Rubinstein is a world-famous, wealthy intellectual married to a genius mathematician named Mark. Ostensibly, Sabine has arranged to meet Renata about a “personal matter,” but the conversation takes on incredible scope and depth, traversing the two women’s vast experience and knowledge, including their ancestors’ time in Nazi Germany and concepts of poetry and sexual fidelity. The narrative begins to take shape when Sabine mentions that she received an email out of the blue from Renata’s husband about a mathematical concept related to her work. Gradually, the women discover that their connection is about more than a simple chance email; the interweaving of their backgrounds, philosophies and approaches toward living has the potential to dramatically alter each of their destinies. The book’s strength is simultaneously its weakness. As Sabine and Renata discuss at one point: “It’s hard to believe that, once upon the time, people used to read philosophy for pleasure.” “It is a rather strange experience, reading those books. You understand the words, you sort of think that you understand the sentences, but the sense of paragraphs—not to say anything about whole chapters—is completely elusive.” Indeed, the engrossing narrative, which twists and turns through a variety of historical anecdotes and personal experiences, has no natural breaks, almost forcing readers to finish it in one sitting. However, the experience is a richly rewarding one, and the surprise ending is poignant without being sentimental. These mature, thoughtful women are unlike almost any others in popular contemporary literature, and their conversation—long, gorgeous, encompassing—is one of the most memorable in literature of the last 10 years. 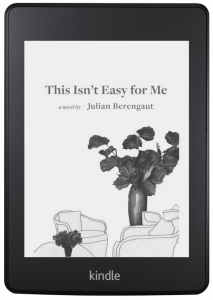 eBook or paperback? Click to choose.